The recent inaugural cocktail competition held at Willie Smith’s Cider Shed in the Huon Valley brought together a melting pot of humans. Industry veterans and young guns rubbed shoulders and talked shop, admiring the colossal beauty of the copper still and tasting the Charles Oates Apple Spirit which flowed freely. We love cocktail comps for the exposure and perspective they offer as a platform so we happily threw ourselves into the mix and held a pop up serving a delicious cocktail showing off the Charles Oates Apple Spirit in all its glory. 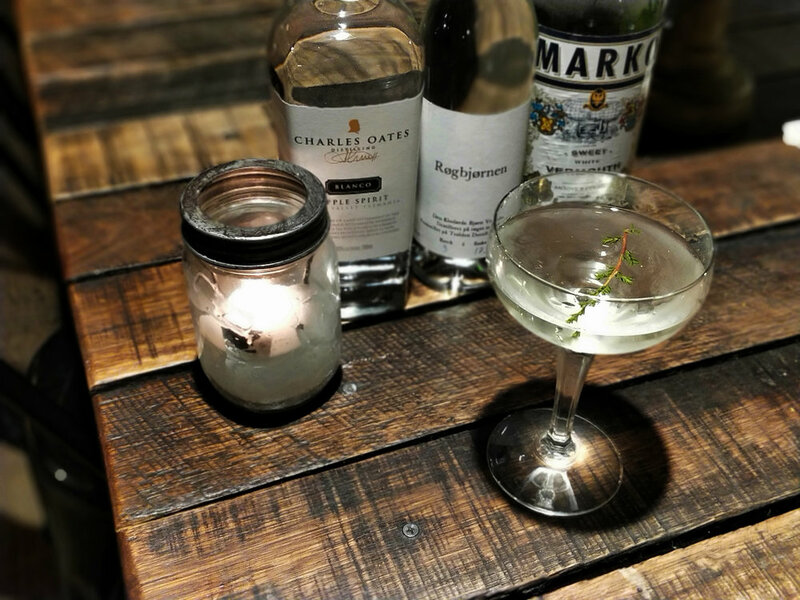 'Smoke On The Orchard' (thanks for the inspiration Deep Purple…smoke on the water, fire in the sky…) combines the aromatics of the apple spirit and cunningly balances them with the malted, peaty depths of Rogbjørnen (The Smoky Bear) Peated Vodka which adds that little extra backend warmth alluding to the mouth-watering taste of an apple pie fresh out of the oven. Finish off this little martini variant with a customary lick of vermouth to soften the dryness and add a slight oxidative flavour. Serve straight up! A rinse of vintage vermouth.